Gallo gangsters became neighborhood heroes. 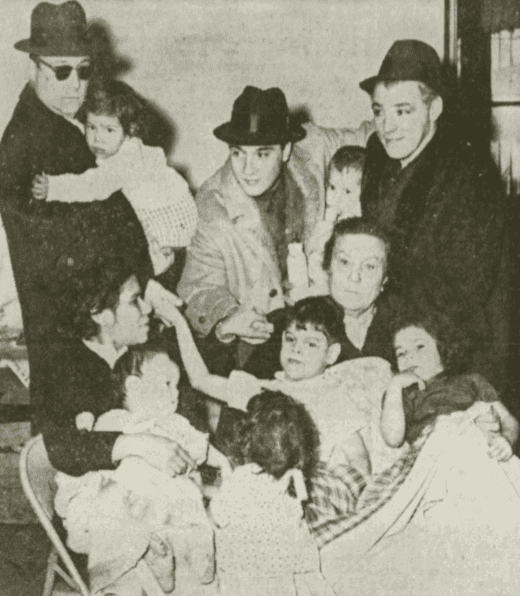 Noticing a fire in a nearby apartment building on Jan. 31, 1962, Lawrence and Albert Gallo (brother Joey Gallo was in prison at the time), Anthony Abbatemarco, Leonard Dello, Alfonso Serantino, John Commarato and Frank Illiano rushed into the building and rescued six children from a third-floor apartment. They also succeeded in extinguishing the blaze before firefighters arrived. putting out a fire without a license." (left to right) with the children they saved from a fire. 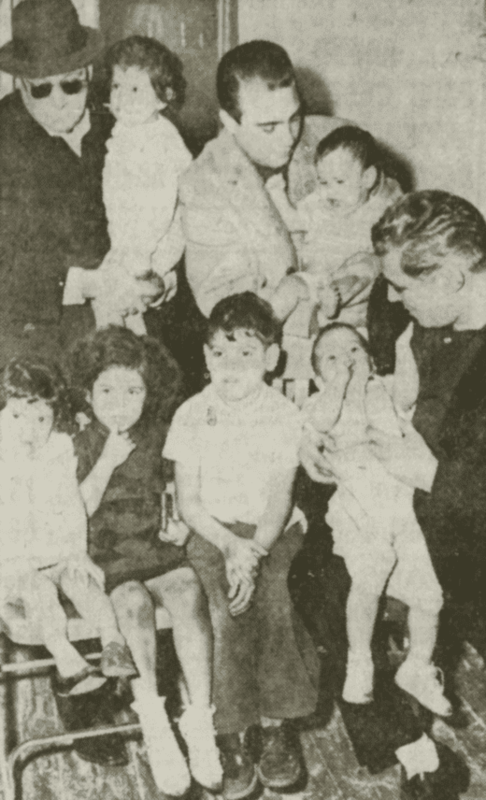 Abbatemarco, Iliano and Albert Gallo were photographed with the children for local newspaper reports. It was a rare moment of positive publicity for the Gallo faction, then engaged in a desperate war against the leadership of the Profaci Crime Family and hampered by intense police scrutiny. Abbatemarco, Gallo and Illiano (left to right) pose with the family. At twelve-thirty in the afternoon, the seven men were returning to their headquarters at 51 President Street after a visit to a nearby luncheonette at 77 President Street, when they saw clouds of smoke emerging from a third-floor window at number 73. They ran upstairs and found Sista Biaz's six children, aged ten months to six years, inside. Biaz had gone out to a local grocery. Two of the gang led the children out of the apartment, while the rest tended to the fire. Burning furniture was tossed out windows to the street and the fire in the apartment was extinguished before the fire department arrived.